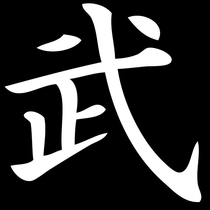 Traditionally No-gi refers to a combination of Brazilian Jiu-Jitsu and Free-style wrestling. 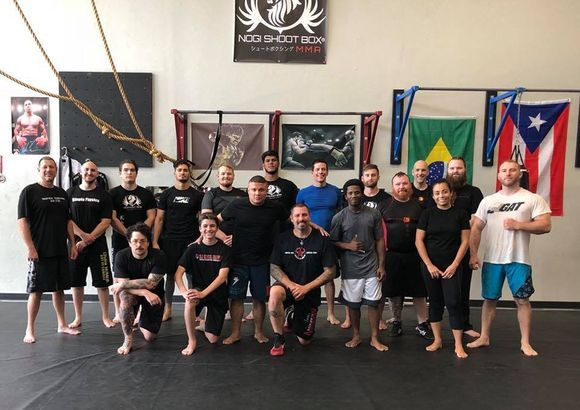 At Nogi Shoot Box MMA we combine our Brazilian Jiu-Jitsu with Catch Wrestling to create a technically formidable grappling style that favors the top position for both Sport and Military applications. Because no-gi practitioners are not allowed to grab their opponent’s uniform, chokes and control positions rely heavily on clinching and overhooking. Where you would grab your opponent’s gi lapel to break their posture, you can instead look to clinch your opponent’s neck and use an overhook on one of their arms. Where you would grab your opponent’s sleeves or gi pants to control them, you can look to grip their ankles or wrists for control. Finally, where you would use your opponent’s lapel to establish a choke, you can look to utilize your arms to realize chokes. 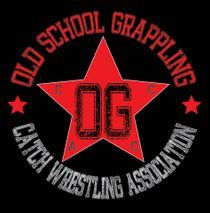 The Catch as Catch style of grappling has been around for hundreds of years. Embracing this style of No- Gi grappling gives the Classical free-style wrestler an opportunity to explore their grappling roots in traditional old school wrestling, while introducing the Brazilian Jiu-Jitsu practitioner to an alternative perspective of the grappling arts. The Original No Holds Barred Fighting, Catch-as-Catch-Can Wrestling is the father of American Folkstyle Wrestling, and Olympic Freestyle Wrestling (once commonly known as Amateur Catch as Catch Can), and is also considered the ancestor of modern Professional Wrestling and Mixed Martial Arts competitions. In old Lancashire English Catch-as-Catch-Can was translated to catch anything you can. (meaning any submission hold). Hundreds of years old, it originated in Lancashire England and was developed and refined during the British Empire (1490 -early 1900). The British Navy exposed the young men of their day to many forms of grappling from around the world. They brought these techniques back to England adding to the already expanding, dangerous arsenal of Catch Wrestling submissions. Its dominance in matches against other wrestling styles gained world-wide notoriety around the mid 1800. During this same time it found its way to North America via immigrants and world travelers and became the top sport in America by the turn of the 20th century. In the late 1800 and early to mid 1900's as part of local carnivals, Catch Wrestlers would take on all challengers as part of the athletic show where locals could stand a chance to win cash if they could pin or submit the carnivals wrestler. The Catch Wrestler had to prepare for the worst case scenario with the unknown opponent stepping into the ring on a regular basis, so the need for quick and aggressive submissions were a necessity. Submission wins were preferred so there would be no chance for a challenger to argue if the match was stopped prematurely. Often a challenger would argue with a referee over whether or not he was pinned, but a submission was always clear and decisive. 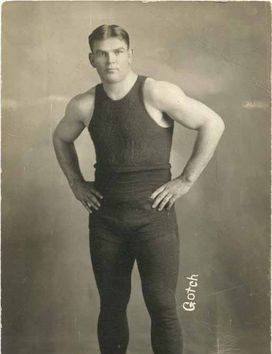 Conditioning was also a major weapon for a Catch Wrestler, who would sometimes have to wrestle for several hours before winning a match. The rules of the early matches were determined by the players themselves and would usually change from city to city (just like mixed martial arts matches do from various promoters), negotiations could take forever. Often times there were no time limits at all, with the winner having the best of 3 falls. Holds and locks could be taken anywhere on the body and brutal throws were completely legal in the Lancashire style of Catch Wrestling. 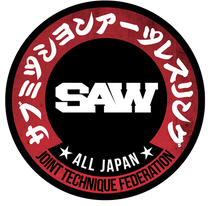 There are no points for position in Catch Wrestling, the only ways to win a match are to pin or submit your opponent using one of the many fast and aggressive hooks (or submissions). Knocking known nowadays as Taping out, yelling uncle or rolling to ones back were considered a sign of defeat. Generally chokes were not permitted unless the match was agreed upon as being an all in contest or no holds barred. The term no holds barred was originally used to describe the wrestling method prevalent in Catch Wrestling tournaments during the late 19th century wherein no wrestling holds were banned from the competition, regardless of how dangerous they might be. By the late 19th century, the North Americans already had a brutal rough and tumble style of fighting often referred to as brawling or gouging, where grappling, strangling, limb twisting, head butting, punching, kicking, biting and even eye gouging were legal. The two styles merged giving birth to the more aggressive North American Catch-As-Catch-Can Wrestling one of the most lethal fighting arts the world has ever known!